When I look in the mirror, I see someone whom society deems as disposable: I am Black, disabled, female and poor. When people see me, they automatically judge who I am, what I am capable of, and my worthiness before they hear me speak or know my name. Every day, I battle racism, sexism, ableism, classism and ignorance; yet somehow, I wake up every morning hopeful that my existence will make a difference in the world through the advocacy work I began almost two years ago. How can I possess such a hopeful, positive mentality and spirit when the world bombards me nonstop with messages, images and actions that tell me people who look like me “do not matter”? I decided one day that I do matter, and the negative, hurtful ideals about who I am did not. If I wanted to love the person, body and life I saw in the mirror, I had to stop internalizing the hatefulness of the world around me, and start demanding that the world accepted my disability and personhood. One action that helped to increase my self-love was becoming a disability advocate, and making it a priority to connect with other like-minded advocates who were as passionate about the issues that mattered to me. However, when I began looking around the disability community, I felt like a black pepper flake in the midst of a sea of salt: Where were all the disabled women of color, particularly disabled Black women? Though we as a collective group faced similar struggles when it comes to combating ableism, the unique challenges of being a woman of color and disabled cannot be ignored. Within the Black community, I felt different because of my disability status; within the disabled community, my blackness made me stand out like a sore thumb. I knew if I wanted to feel included within this community, I needed to create a support system with other disabled Black women and women of color. That need helped to shape my advocacy work, which birthed my organization, Ramp Your Voice! Establishing this poignant niche of intersectionality helped to empower myself in ways I did not foresee. When I began to connect with other disabled Black women and women of color, a sisterly bond formed. I finally interacted with women who not only looked like me, but also endured similar struggles because of the identities they held. Words cannot accurately capture the deep level of understanding and support one feels when you find people who “get” you. When you share stories about overcoming misunderstandings of who you are based on your race, gender and disability with people who have had identical situations in their own lives, it validates your experiences and existence. That is what I have experienced with my Disabled Sistas: validation, appreciation and love. The friendships that has flourished with these women are invaluable, and are undeniably special to me. Bonding with my disabled sisters, and other advocates I have befriended, has enabled me to become unapologetic and fearless when speaking out against the societal and systemic “-isms,” and discriminatory tactics that seek to hold me back instead of build me up. The support of my disabled friends pushes me to keep my head up. I am incredibly proud of the reflection staring back at me – a beautiful, perfectly imperfect human being who is extraordinary capable and worthy of more than I may give myself credit for. Though my disability and other identities compose a great deal of who and what I am, I have the power to define and redefine what disability, blackness and womanhood means to me. I am no longer limited by my identities because I refuse to accept society’s ideas concerning them; my friendships and advocacy work has equipped me to shatter those misconceptions by simply being myself. I am enough, and that is all that I need to remember whenever an “ism” attempts to stymie my progress or devalue my worth. Challenges are temporary roadblocks, but how you react to setbacks will become permanently ingrained in your psyche. No matter what you may be encountering presently, disabled sisters, always keep your head up, and be proud of the woman in the mirror. This post originally appeared on Ramp Your Voice! The Mighty is asking its readers the following: What’s one secret about your or your loved one’s disability and/or disease that no one talks about? If you’d like to participate, please send a blog post to [email protected] Please include a photo for the piece, a photo of yourself and 1-2 sentence bio. Vilissa Thompson is a Licensed Master Social Worker (LMSW) from Winnsboro, SC. She is the founder and CEO of Ramp Your Voice!, an organization focused on promoting self-advocacy and strengthening empowerment among people with disabilities. 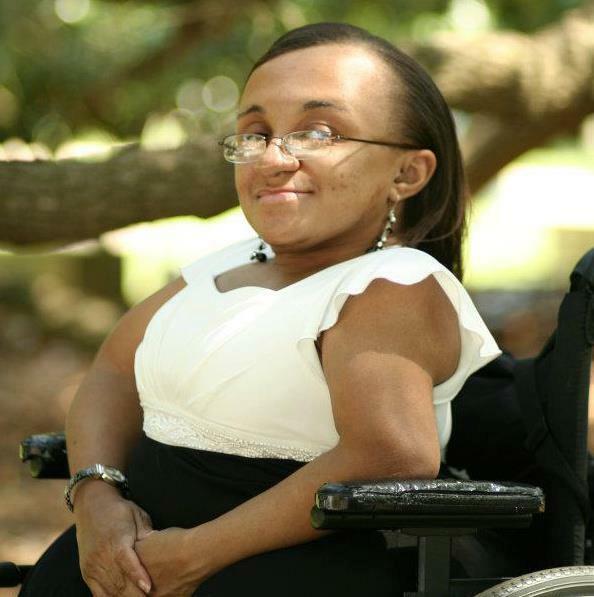 Being a Disability Rights Consultant, Writer and Advocate affords Vilissa the opportunity to become a prominent leader and expert in addressing and educating the public and political figures about the plight of people with disabilities, especially women of color with disabilities. Being a disabled woman of color herself, sharing her life experiences, and tales from the women she has encountered during her advocacy work, has empowered her immensely because it validated the struggles and successes she endured in her young life.